Yesterday I had a combined symphony’choir rehearsal for our concert on Monday evening. During the downtime I was reading the book “The Infinite Atonement” by Tad R. Callister. One of the chorus members came up to me and asked what I was reading, I showed him, and then he asked “Is there a difference between an infinite atonement and a non-infinite atonement?” Off the cuff I just responded “I don’t think there has ever been a non-infinite atonement.” He accepted my answer without comment, and walked off. As soon as he walked away I realized that my answer was incorrect. There was only one truly infinite atonement, but there have been hundreds and thousands of finite atonements experienced by righteous, regular people, they were made finite in nature because of the suffering of Jesus Christ and his infinite atonement. The infinite atonement covers remission of sins, mistakes, pain, sorrow, and an infinite number of things. When one of these things happens to us we have a measure of suffering. The measure of suffering we experience depends greatly on whether or not we apply what Jesus Christ has already done for us. One of the definitions of the word atonement is reparation for an offense or injury. 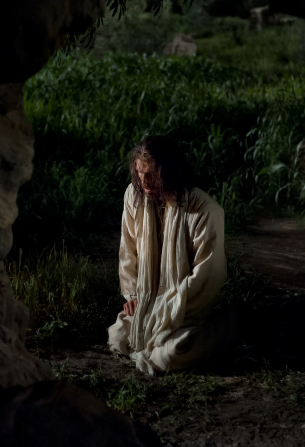 When we apply the infinite atonement of Jesus Christ in our lives, we will still suffer, but His sacrifice has placed boundaries on the amount of pain we feel. We will feel enough to teach us what we need to learn, we will feel enough to appreciate how much He has done for us, and we will feel enough to lead us to repent, or to achieve the mighty change of heart, that is required to experience true conversion. But, we will not experience anything outside what is absolutely necessary, it will be finite. As always, because the law of agency is so valued, we get to choose whether we personally suffer infinite (maybe not infinite in pain as Christ’s was, but certainly infinite in time) or finite atonement. I know what want to choose! If the pain and suffering I have felt has only been atonement of a finite nature in my life I cannot even begin to imagine how difficult it would be to suffer an infinite one, even if it was only for my own personal sins and mistakes. I am so grateful for the power that He had to place those boundaries on my pain and suffering, for his truly infinite, in every sense of the word, atonement. I will do all I can to not let his sacrifice for me go to waste.